4 Really GOOD summer reads. I was kind of wondering if it was ever going to arrive, but we are most definitely in the grips of summer. As you know I have certain preferences that go along with certain seasons. I like knitting, eating chili and spending the day in flannel during the winter. I like canning, eating pumpkin pie and spending the day in flannel during the fall. And I like reading, eating hamburgers and spending the day burning all things flannel during the summer. I actually like reading during all seasons, but summer brings out a special reader in me. The easy reader. For me summer is a time for books that require almost no attention. I don’t care about metaphors or big words or meaning. I just want a really good book. With maybe 5 characters at the most. If it has a graph at the start of the novel breaking down who all the characters are in some kind of family tree or pie chart I do not want to read it during the summer. To start off your summer weekend I have for you 4 of my favourite summer reads ever. They’re first to last page reads. In other words expect to get mustard stains on the pages because once you start the first page you’re not going to be putting these books down until you’ve finished them. They will be with you through all meals, bathroom breaks and car rides. They’re easy reads but that doesn’t mean they’re completely frivolous. Except the Janet Evanovich at the end of the list. She is COMPLETELY frivolous reading. And that’s why her series is such a GREAT summer go to. I’ve read every one of these books (obviously) and give all of them 4 stars. I’ve included a link to buy the book (click on the book or the title) and a link to read the first chapter so you can make sure it’s the kind of book for you. Read the first chapter of The Help. The first 3 in her series because if you like the first, you’ll like the rest. Have a good weekend and happy summer reading! I’ll be over here in the corner eating a hamburger. 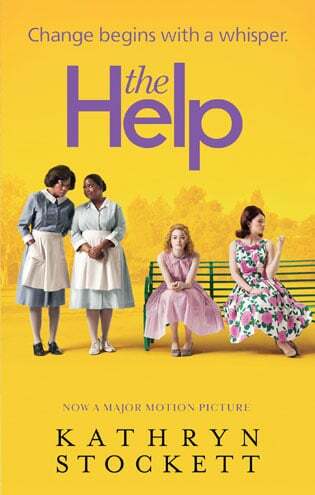 The Help was one of my favorite reads last summer (or was it the summer before?). It’s funny I was just thinking that my reading habits change dramatically and get significantly more…fluffy during the summer. Maybe that would be why I read an entire novel today at the pool. I swear it wasn’t an easy reader but an actual, legit book written for grownups. Did you ever get around to reading The Book Thief? I had to re-read it after seeing it staged on your nightstand a zillion posts ago. It was just as good the third time! 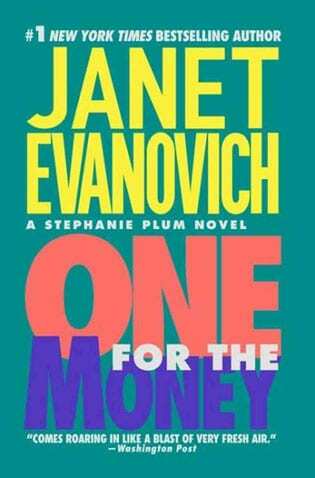 love all the evanovich books. earlene fowler’s benni harper series is good. sue grafton’s alphabet serise is a fun read. all just for fun reading. ‘Ex’ by James J Wilson too. first of a series. looking forward to other suggestions. I am afraid that I rarely read during the summer. Most of my reading takes place during Flannel Season. I love nothing more than cozy-ing down in my den, snuggling into the sofa, pillows, blanket and A Great Book. Evanovich is not one of my Favorite’s, however, since I love cooking, and decorating, and just futzing around the house, I read COOKBOOKS, and anything to do with DECORATING. “How To”, books are one of my favorites as well. But, when I do read a serious book I like to read books that intrigue my senses, and refuse to let go of my brain, until I have devoured every last page. The sad part, I have discovered, is that even though the book might have been a fantastic read, spellbinding in every way, a real page turner…I cannot help but feel a little disappointed when I have read the last word. I seems, sometimes, that the better the book was, the more disappointed I am. Rather similar to a child at a fantastic birthday party, and then realizing the party is over and it is time to go home. 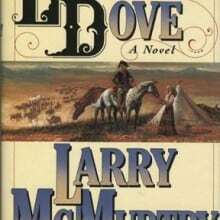 However, it does not prevent me from reading yet another good book, and another, and another……Halfway through “The Physick of Deliverance Dane”, and am truly fascinated by it. Salem Witches and all. Thanks for the tips on the books, Fannie Flagg and Fried Green Tomatoes is Great, as well as Jurassic Park, and The Help was truly inspiring. Watched the movie first, then read the book…One of these days I will remember to read the book first, so much more interesting that way. Well, it is 4:oo a.m. and I am going back to bed…think I will read for a while. I’ve rad and loved all of those – I even met Janet and her daughter Jen years back and got my first 4 books signed. One for the Money is one of my favourite sun drenched reads. I agree with Taria about about the Sue Grafton alphabet books (A is for Alibi etc) and would add Linda Barnes’ Carlotta Carlyle books too. THE HELP was not a book that required no attention. It’s a fictional look at the awful inequities suffered by blacks. And the grit of one of the advantaged whites who documented their stories. I think it is a must read to understand that shameful era. I read it, then listened to the CD version, which is excellent, then saw the movie a year later. Time to reread. kate-v – The book is quite different from the movie. ~ karen! I just finished the Help this morning and LOVED IT! oh wow, really!? that’s awesome. Definitely Book of Negros! Amazing read. Nicole, I loved Still Alice. I am also a huge fan of The Glass Castle, and Sara’s Key. I think you should dive into Still Alice. If you find it’s not for you, snap it shut and move on to something else. Happy Reading! ok, cool… i might just have to read both then! 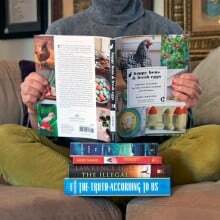 both books got really good reviews online… but i trust the art of doing stuff readers more than random strangers… because we all love Karen and her chickens, so we have something in common already. 🙂 haha. I read Jurassic Park a many many years ago..I will check out the other three..Thanks..Enjoy your weekend reading..and your hamburger..
Hi Karen, You fav book picks are my fav book picks too! 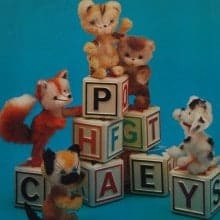 Please tell me you have already read (years ago) Who Moved The Cheese! A 1 to 2 hour read max but it dented my personal space forever. The actual book starts about half way thru the book and the front is filled with “info” just so they can charge so much for a tiny, teeny, weeny book. Skip that part and get to the cheese of the matter. You won’t be sorry and your money will be well spent. All of these are GREAT reads – The Help was one of my favorites. 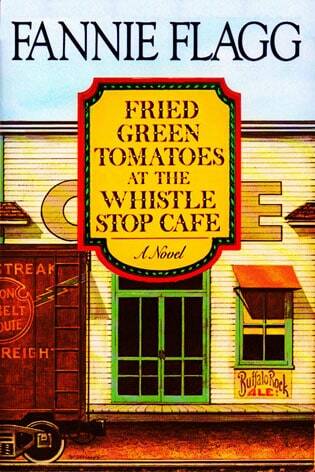 Fannie Flagg writes some great laugh out loud books. And who wouldn’t love Grandma Mazur!! I have read the first 3 on this list, sorry to say. “The Help” was hard to take in some ways, but I couldn’t put it down. Just goes to show that a good “grab you” book does not have to be a thriller. I will invest in the Janet Evanovich soon, and thanks for sharing your list! I STILL haven’t read The Help. Must do that soon. I do rememeber reading a few Fannie Flagg books about 20 years ago & of course I’ve seen the first two picks in the movie version more than once. Mmmm. Probably Ranger. I make stupid choices like that. ~ karen! he smells so good and has fun cars besides being hunky! My son just bought me a Nook e-reader now to grab some books to read on it. So wanted to get The Help and forgot about it… thanks for the suggestions Karen! Love Fannie Flagg. Have you tried Whitney Otto (How to Make an American Quilt)? How to Make an American Quilt is also a good movie with great music running through it. A+ on all four counts. I recently discovered the Charlie McNally series by Hank Phillippi Ryan (female) and love them all, too. I love all of those, Karen, but I fainted while reading the gory scene in The Help. I was even sitting down, in the car, good thing I wasn’t driving, but then, I don’t usually read while I drive, but I do listen to books on tape. Anyway, I passed out cold and my husband and son could not bring me to, so they headed for the hospital. I finally came to hearing what seemed like my son calling from a distance, “Mom! Mom!” I said, “Not now, Adam, I’m fainting.” My husband was afraid for me to go to the movie, but I did fine. I knew when to cover my eyes. 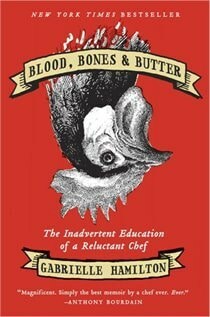 One of my favorite authors, for funny, touching, easy to read but has some meaning, books is Sarah Bird. I’ve read the Boyfriend School, The Flamenco Academy, Alamo House, The Gap Year, and Virgin of the Rodeo. I plan to read them all, then weep until she writes more. Also, you should mix together your 2nd and 3rd paragraph/lines—- Pumpkin Chili is a superrrrrrb meal! John D. MacDonald’s Travis McGee series is a great summer read. I am going through all of Marian Keyes books. Her books are fun to read, nothing too serious but more like a summer feel good easy read. I’ve been reading through the Prey series by John Sanford this summer. Definitely good summer reading. Also, “Let’s Pretend this never Happened” is a really fun, light read from one of your fellow bloggers if one is looking for some laughs and have a quirky, somewhat twisted sense of humor. 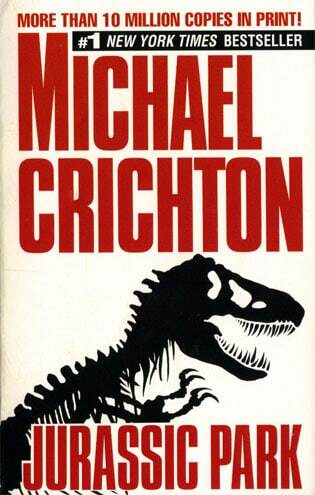 I read Jurassic Park years ago and I stayed up all night reading it cover to cover. It was so scary! I have to voice my opinion on Barbara Kingsolver’s Poisonwood Bible–it’s a delicious summer read, and it has multiple narrators who tell the story brilliantly. This summer I read The Paris Wife. Published in 2012. Excellent piece of historical fiction from the perspective of Hemingway’s first wife. It prompted me to read more books from the era… like A Moveable Feast by Hemingway then on to read about Gertrude Stein and Fitzgerald (perfect as The Great Gatsby came out this summer). It certainly shows the complexity of many artists and I was sympathetic to both characters.